Your baby got big, is almost all-grown-up… and it is officially time to scrap the farm animal wallpaper and invest in something a little more adult. 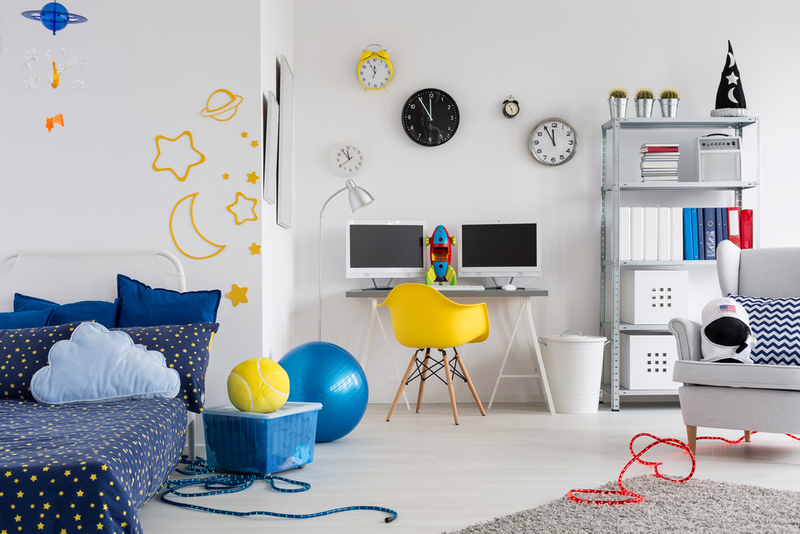 Renovating a bedroom can be expensive and time consuming, but with a little thought you can quite easily create a space that your teenager will love without breaking the bank (or needing to do it again in 6mths time). Actually, this is one that’s often overlooked in the UK. In the US it’s totally normal for teens to have a double bed, but with smaller house sizes in the UK we tend to keep to singles until we get a place of our own. But if you have the space, it might be time to give up the bunk bed and invest in bed such as the divan bed, something simple that cannot be outgrown. While bunk beds are great, they certainly don’t scream ‘mature’ . Make this the first major investment for the bedroom. Swapping a single mattress for a double mattress will give your teenagers more room to grow and more room to starfish. Let’s be honest, not many teenagers are exactly out of bed by 9am ready to seize the day and will need a nice big space to lounge around in! When you’re planning a teenager’s bedroom, think eclectic. 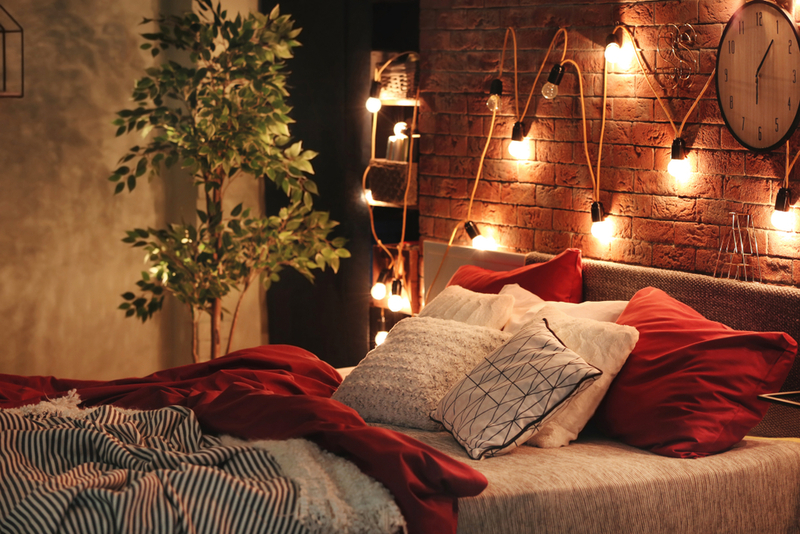 Teens love ‘stuff – fairy lights and cushions and a bucketload of photos of friends and family. 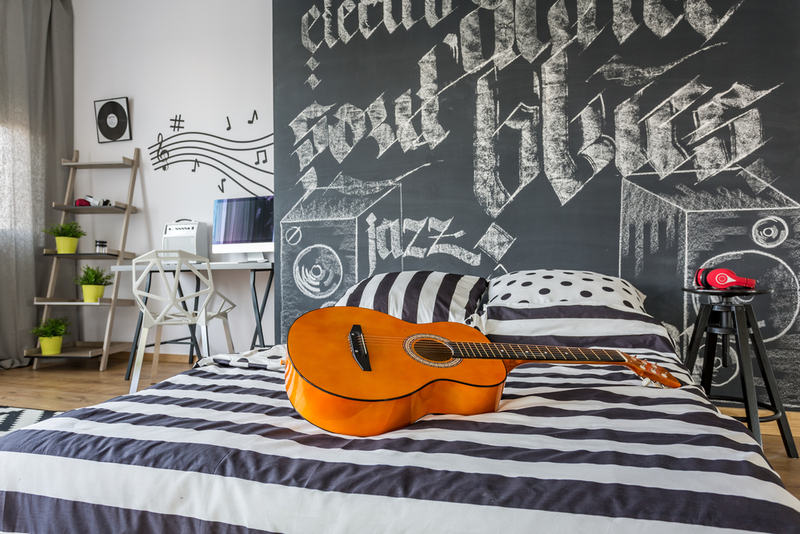 It’s a good idea to plan out good bones ot the room, and then to let your teenager add their own imprint by adding photos of their friends, pets & favourite bands around the bedroom. Although, teenagers can be fickle (and their music taste and friend groups change. A LOT.) so keep it flexible – ensure that all photos go up with Blu Tack to ensure that they can be taken down just as easily! Your teenager might have already done almost ten years of school – but they’ve probably still got another ten years ahead of them. Providing a desk in their bedroom is pretty much a necessity if you have the space. We’re pretty sure my daughter has the smallest bedroom in England , but we still managed to squeeze in desk space for her. Teens need a workspace – it’s just not practical to always work at the kitchen table with the rest of the family milling around. As they get older they need space to retreat to so that they can really concentrate and work without interruptions – or the need to move their books so the family can eat dinner. Teenagers come with plenty of baggage, quite literally. Their bedroom should be filled with storage options for their clothes, school books, shoes and whatever clutter they acquire on their journey. Some great storage options include getting an ottoman bed, adding shelves as this won’t take up valuable floor space in a smaller bedroom and investing in storage baskets that can slide inside the wardrobe. Even with lots of storage available, they’ll still use the floor, obviously, but you can try at least! As we’ve already established, teenagers are extremely fickle and go from absolutely loving the bold print on a wallpaper to waking up one day absolutely despising it. 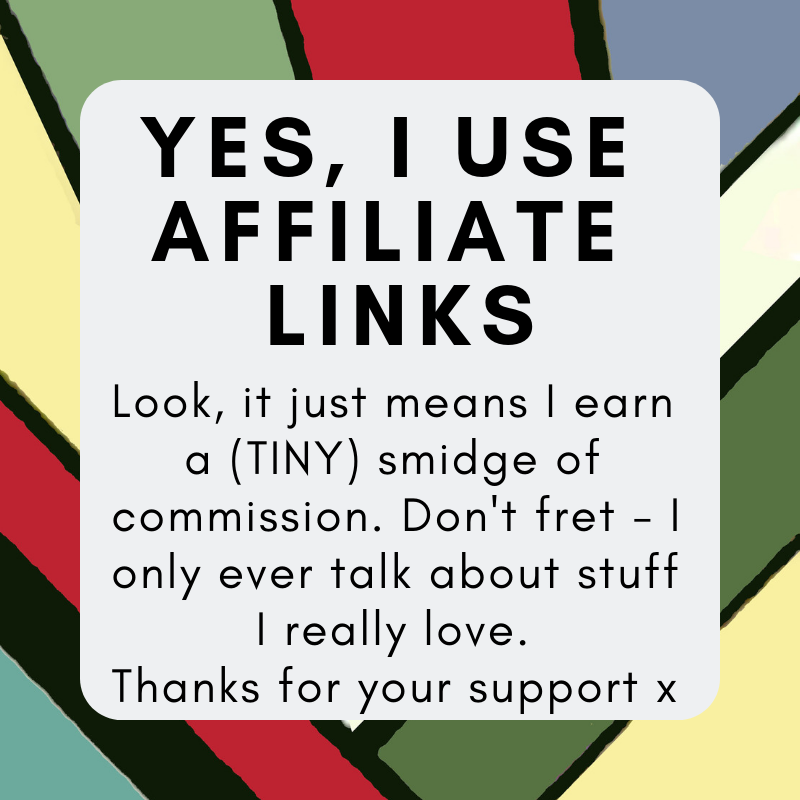 The trick around this is to keep the design simple; using plain colours and nothing too ‘out there’. This will save a fortune in the future as you won’t need to redecorate to suit their preferences. Use posters and fabrics to theme the room – they’re quick and simple to change across the next few years without ever needing to lift a paintbrush.